It’s no secret that the new Chevrolet Corvette ZR1 is coming. Spy videos of the sports car being tested have been floating around for over a year now: it’s even been spotted , but Chevrolet has remained quiet as to when we’ll get to see it. New details have now emerged about the Corvette ZR1 ahead of its debut thanks to a leaked cover image of the Car and Driver magazine December issue, which shows the 2019 Corvette ZR1 in bright Sebring Orange. The publication claims that the new Corvette ZR1 will pack 750-hp which would make it the most powerful Corvette and 680 lb-ft of torque, as well as a 210 mph+ top speed. 0-62 mph will take less than three seconds, and the new Corvette ZR1 will cover the quarter mile in under 11 seconds. Car and Driver also claims that prices will start at around $120,000 but nothing is official yet. It will be available either with a seven-speed manual or an eight-speed automatic, carbon ceramic brakes, and wheels that are 1/2" wider than Z06 front wheels. 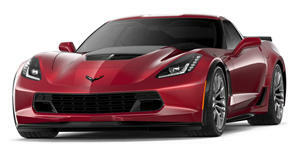 Power will be sourced from an upgraded version of the Z06’s supercharged 6.2-liter V8. Speaking of which, the ZR1’s supercharger produces 52 percent more air per RPM than the Z06 blower and is 2.9" taller according to the publication. It can also allegedly shoot flames out from its exhaust. Compared to the Z06, the ZR1 has a curb weight 3664 lbs, making it 140 lbs heavier than the Z06. Several aero packages will be available. The magazine shows a RPO “ZTK” package and a rear wing with 10 degrees of adjustability, contributing to 500 lbs of downforce at speed. A smaller wing will be available as standard. As we already know, the . Of course, none of this is official until Chevrolet confirms the details when the new Corvette ZR1 is revealed. If these details are correct, it should be well worth the wait. As for when the car will debut, its reveal looked like it was imminent when the automaker informed dealerships 2018 Corvette models will cease production in a few months before beginning production of the 2019 model next January. This month’s LA Auto Show seemed like a logical venue to launch the new Corvette C7 ZR1, but its debut could be sooner than we thought. speculates that the new Corvette ZR1 will make its world debut at the Dubai Motor Show which kicks off next week on November 14th. That may sound like an odd location to reveal an American sports car, but it soon starts to make more sense. Foreign reveals of American cars aren’t uncommon – the Corvette Grand Sport debuted at the 2016 Geneva Motor Show after all. Plus, the Middle East loves sports cars. Further adding to the rumor is an invite sent to Corvette owners for a special event in Dubai on November 12 celebrating “65 years of Corvette performance”. We’ll have to wait and see if the new Corvette ZR1 shows up in Dubai next week, but it still makes sense for it to make its US debut at the LA Auto Show. Был найден мной полезный веб портал со статьями про інтернет магазин дитячого одягу Украина.